Like the clay she transforms into objects of art and function, Annette Hansen has, at age 62, become something new. Marking 10 years since she first opened the doors of Cobalt Gallery and Clay Studio on Kingston Road in Toronto, Annette has emerged renewed, right along with her growing circle of customers and community. When you walk into Cobalt, you’re greeted by that sense of renewal. Any given day, there is something new to look at, pick up, talk about. Outside the door, you pass a hand-thrown pottery bowl of water for visiting dogs. 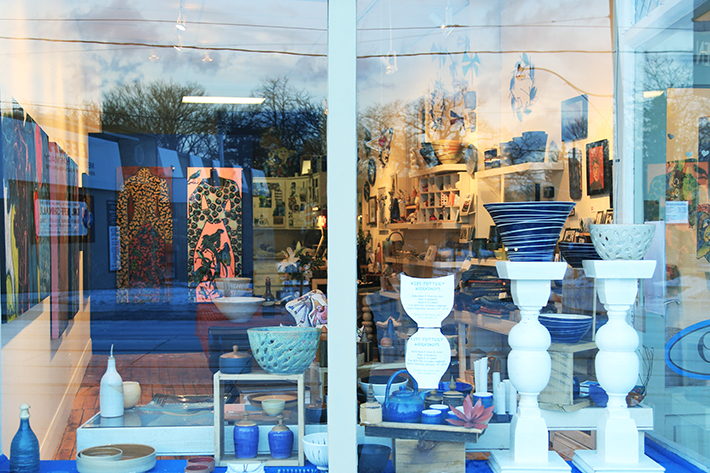 You take in an array of wood, wire, clay and stone that fill the shop window. As you open the door, an old-fashioned bell chimes you in, somehow applauding your choice to enter. And when you do, you don’t know where to look first in this small space because everywhere, calling for your attention, is beauty. Pottery, painting, jewellery, textiles, sculpture, furniture. All stylishly displayed and carefully made by Annette or a fellow artist from her widening network of those who create, and those who value creativity. At the sound of the door chime, she emerges from behind her small counter, usually stepping away from a wet bowl or vase, standing half-created on the pottery wheel, visible from where you stand. She wipes her clay-covered hands on her apron, pushes her hair away from her face and smiles, signalling she’s all yours. Putting the pieces in place to realize her lifelong vision took some doing. Born in Copenhagen, Denmark, Annette graduated from the Kolding Design School and honed her pottery skills in the States and Greece before moving to Toronto in 1986. Ten years ago, when the studio at 870 Kingston Road became available, she saw an opportunity to build a place to teach, to focus on her own art, to show other artists’ work and to settle down after years of working for other studios or in other fields. With a look around and a quick look back, it’s easy to see that, in spite of the obstacles, she’s fully realized her vision. Along with her art, Annette credits her family and the people around her for helping motivate her to keep the Gallery doors open. She’ll run into a neighbour and celebrate the completion of three years of construction along Kingston Road. A customer will drop by to say the wedding gift was a hit. A high school student will report she still uses the bowl she made at the Gallery when she was seven. 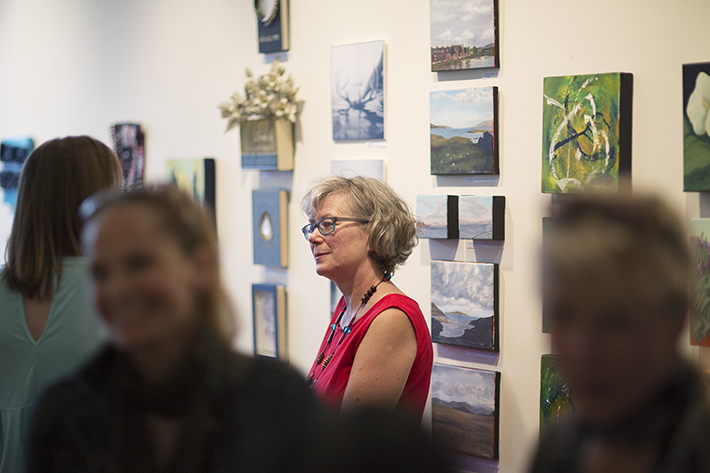 As new artists set up their first show of paintings, Annette feels exhilarated on their behalf. Her adult students talk about a new appreciation of the creative process, and of artists in this city. Her husband Tim welcomes her home after an evening of teaching and reminds her how proud he is of her. And her 20-year-old son, Erik, involved in the Gallery “right from the get go” sees, daily, the power of persistence.